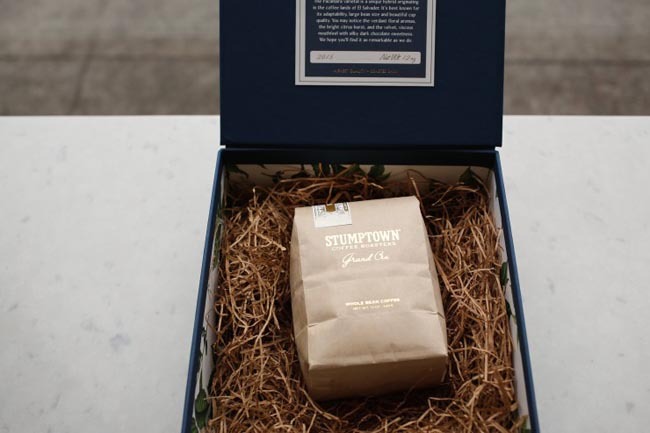 Every year, Stumptown Coffee features a newly launched 2015 Grand Cru lineup of coffees, as well as limited edition packaging executed by the inhouse creative team. The term grand cru, from the French wine classification system, is used to designate leading grape growing areas of Champagne, Burgundy, Alsace, Bordeaux and more, and is often used to denote a limited or special run of foods and delicacies. 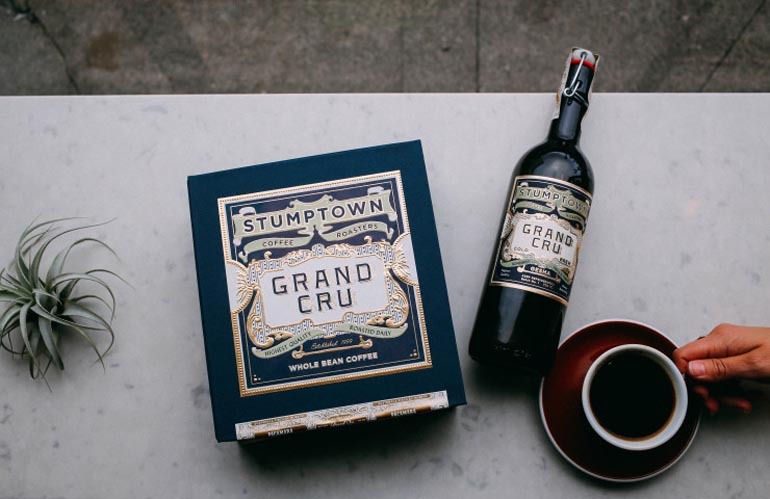 The 2015 Grand Cru coffees are from Guatemala Finca El Injerto, and a featured option is cold brew in a wine bottle available in all Stumptown cafes for a limited time. Graphic designer Jenny Censky is credited with the label and package design. 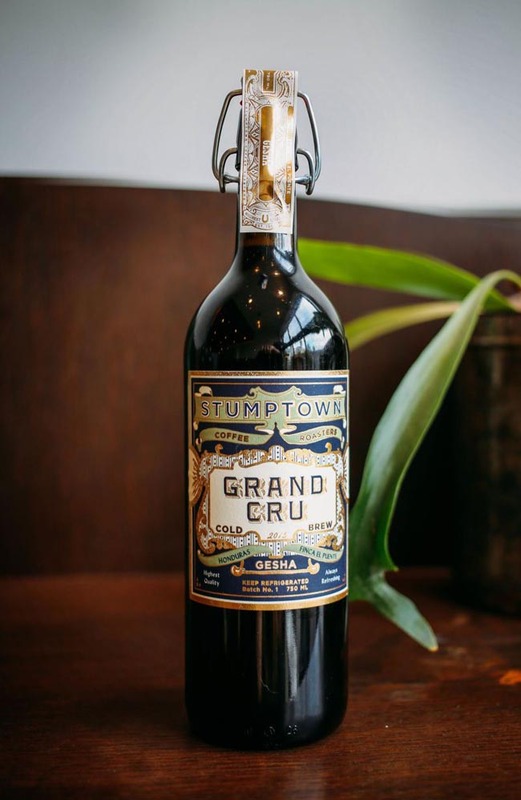 Diane Aylsworth told Sprudge, a coffee industry website, that “For the Grand Cru Cold Brew, ​we chose the wine bottle to signify the elegance ​of the coffee inside, and felt that the swing top gave it a unique look. The labels​ for both the Whole Bean boxes and the Cold Brew bottle​, designed by Jenny, were inspired by vintage cigar boxes and classic liquor bottle design. The deep blue and the gold help communicate the regal-ness of the product inside.